Today I'm back to talking about children's books... However, I'm also sharing some updates to this series moving forward. At the start of the year, I intended to showcase the books my son acquired within a given month as well as occasionally share a week of bedtime reading, but now that is set to change. We're half way through the year and I'm finding myself really recognise what works for me (& what doesn't) when it comes to sitting down and writing on my blog. 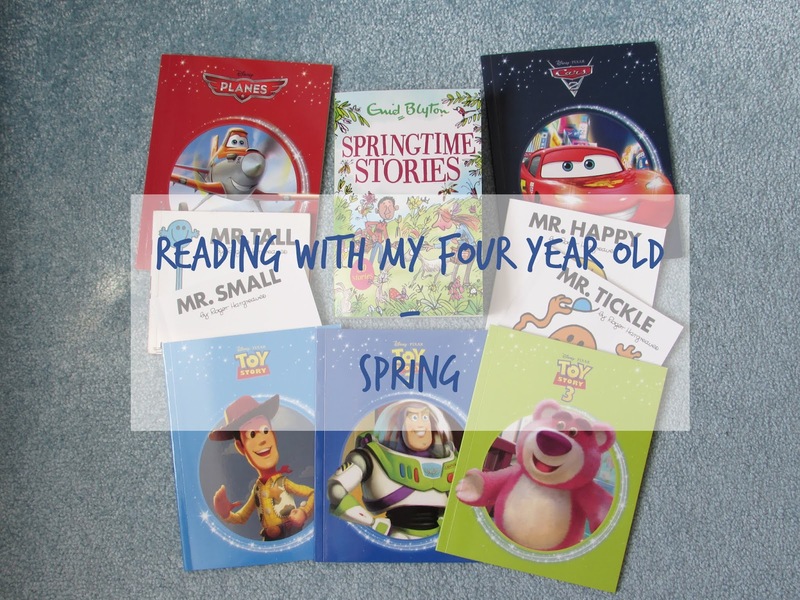 I do love having Alexander's reading journey documented here, just as I do with my own, however moving forward I'm going to be just wrapping up at the end of every season, such as I am today; highlighted some books he has gravitated towards, and that we've loved reading together. During the season of spring, Alexander and I started our first non picture book together when I picked up a collection of short stories based around the season written by Enid Blyton. I've recently gotten in to Enid Blyton's children's stories myself - being part way through two separate series - and I initially intended to add Spring to my own personal book collection. When the book arrived, as I had ordered it online, I thought why not read it with Alexander - they are short in length & appropriate in plot - and I have been able to share the beauty that is Enid Blyton's writing with my four year old. The stories are a lot of fun, with outdoor adventures, animals being prominent (Alexander LOVES animal stories), fantastical elements in some, and humour that both Alexander and I have enjoyed. On his bookshelf Alexander has a number of books that could be seen as childhood reading staples, with the Mr Men & Little Miss collection being one of those. I remember these from my own childhood, as does my husband - in fact a good chunk of Alexander's collection is formed of Mr Men & Little Miss books from Nathan's own childhood - and now we get to share them with our son. We still haven't worked our way through all of the titles he has (which isn't a complete collection), however at bedtime he has often been picking these to read. Lastly, I want to share about a boxset of Disney books we have read a lot recently. We've had this set a while, and every now and then (typically after watching the film that the story tells), he'll pick one up to read, however there was a good chunk of time within spring where Alexander picked up multiple of these books to read in just the one sitting alone. The boxset doesn't include every Disney film ever, obviously, bit it does have some great classics included as well as some of the more modern stories too. Alexander loves Cars, Planes and all the Toy Story films adapted into story form also. Reading with my son is one of my all time favourite things to do, and I'm so happy to be able to document that here. Im so curious about that Enid Blyton spring collection — looks great! And it does sound like a good transitional book too! Just this past week we've moved on to a chapter book, at Alexander's own request, so definitely worked well for us in opening him up to books beyond picture books. My son always loved all of the Disney reads, especially the Toy Story and Cars books. They are great, especially when familiar with the films. When my son was smaller, we had so many Toy Story and Cars books. I'm glad Alexander is enjoying those same stories! Alexander loves the Toy Story books!